Overseas vision correction surgery is now safe, incredibly affordable and convenient when booked through a reputable travel agent. At My Body & Spirit, we offer huge cost savings when it comes to lasik and eye / vision correction surgery procedure holidays to Thailand. With 35+ years travel industry experience, we help guide you through choosing the eye treatment procedure to suit you. We also plan, book and organise everything from your airfares, accommodation, surgery treatment, as well as all required appointments and checkups. Our reputation has been built by only recommending treatments at the best hospitals and performed by medically recognised eye surgeons. This way we ensure your treatment goes as smoothly as possible and results in the best possible outcome. Another benefit of booking your overseas vision correction surgery procedure through a well recognised and experienced travel agent is that also get to enjoy a relaxing holiday after your treatment to rest, recoup and recover in style. This surgery is to correct short and far vision, and reading problems, and also to reduce your dependence on eye glasses. It is suitable for men and women aged from late 40’s or older and wants to achieve full range of vision without wearing glasses or contact lens. If you have cataracts, they would be removed during the surgery and would eliminate any need for cataract surgery in the future. Cataracts will not grow or develop after Refractive Lens Exchange surgery. The surgery itself is only about 30-40 mins on each eye, and they do operate on one eye one day and then the second eye is normally operated on the next day. Healing time is quite quick and within 12-14 days you are ok to resume work and normal activities. There is a choice of multi-focal lens (2 lens) or tri-focal lens (3 lens). 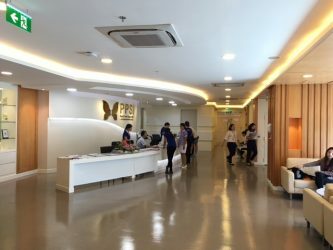 This surgery is offered in Phuket. This surgery is the most well-known and is recommended for people up to 40 years of age. From 40 years of age to late 40’s your eyes change and re-stabilise in late 40’s. For people late 40’s or older we would recommend Refractive Lens Exchange Surgery. If you are younger than 40 years old and have stable vision, then you are a good candidate for Lasik Surgery. This surgery will improve your vision and often eliminate wearing glasses. We offer this surgery in Bangkok or Pattaya.